Restaurant Coupons and Discounts | Eat Cheap. Live Well. If you’re looking for a restaurant with a great atmosphere and even better family-style Italian food, look no further than Buca di Beppo. Their genuine Italian dishes are served in two sizes: small feeds up to three and large up to six people; during lunch hours they also offer single-serving meals. With an array of dishes that includes traditional spaghetti with meatballs, veal saltimbocca, thin-crust pizza, and oven-roasted salmon, Buca offers food the entire family will enjoy. Now let’s talk atmosphere. 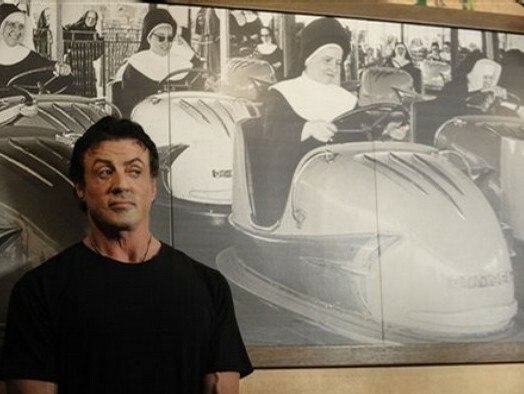 The the walls are covered in old-fashioned photographs that not only bring you back to the good ‘ol days, but have a hint of comedy. Nuns driving bumper cars, a little boy touching a fat old man’s protruding stomach, and nurses quoted with “yes, an enema would be just the thing,” are just the beginning. Want to watch the cooks at work? No problem, just ask to be seated in the kitchen area. Beware though, it gets awfully hot down there. Although I’m generally more of a hole-in-the-wall-Italian-restaurant kind of person, I’d recommend Buca di Beppo to anyone. If you like Italian food, you’ll definitely like this restaurant. Over 85 locations nationwide make it easily accessible to most Americans, so go try it out now! If you’re going at a busy hour or with a large group, I would definitely recommend making a reservation to avoid any wait. Check out some of the Italian restaurants coupons we have to offer. 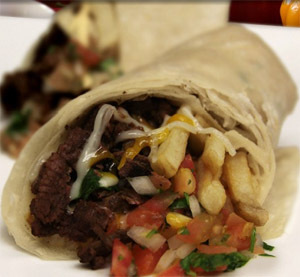 Whether you hail from Southern California or have had the pleasure of dining at one of the many fine Mexican food restaurants in the San Diego area, there’s a good chance you’ve heard of the deliciousness that is the California Burrito. For those who haven’t been blessed with such an opportunity, you wouldn’t be out of your mind to plan a trip to So-Cal solely to live the experience of consuming one of these monstrous wraps. So, you’re probably wondering, “What comes packed inside these beasts?” Although ingredients vary slightly from restaurant to restaurant, here’s what you can expect in a standard California Burrito: carne asada, cheese, sour cream, guacamole, salsa fresca, oh, and the key ingredient…french fries. Yeah, that’s right, french fries. At first most people are turned off by this bizarre addition, but after the first bite most are quick to take back their prejudgement. Oh, and did I forget to mention, they’re generally wrapped with an enormous flour tortilla over a foot in diameter. California Burritos or, “Calis,” can’t be found at any old Mexican food joint, however. They’re normally only sold out of small taco shops (my personal favorite being Cotixan Mexican Food) for a reasonable 4 or 5 bucks. So, if you’re a fan of large burritos and are in the San Diego area, do yourself a favor and track down the nearest taco shop and order yourself a California Burrito. You won’t regret it, I promise. Milton’s has been a mainstay in Del Mar for over 50 years. They are a traditional Jewish deli featuring a large and diverse menu. While their prices are a little bit high, there’s a good reason reason; they only use Kosher ingredients and you get what you pay for. The food is always good and the portion sizes are generous. Use a coupon from Snoopf to save up to 60% on your next meal at Milton’s. What we like most about Milton’s though is that they aren’t just a restaurant. They also feature a bakery with cookies, cakes, cold cut meats and breads. In addition, they produce jams and condiments that you’ll find in many grocery stores nationwide. We especially like the cranberry mustard which is available when you dine in bottles to take home. They are always expanding their menu too. The latest offering is a chicago style deep dish pizza. How could someone look at this picture and not want to eat such a delectable piece of food? Burgers that look this good and taste even better can only come from one restaurant: The Counter. The Counter offers over 312,120 different combinations of burgers including 30 different toppings, 12 types of cheese, and 21 mouth-watering sauces. The counter has opened nearly 30 restaurants across the nation, with plans on opening hundreds more in the near future. 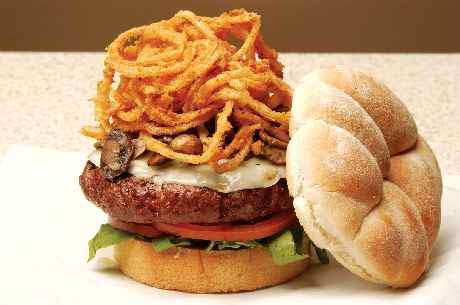 Check if there is a Counter Burger located near you so you can enjoy this savory burger.